I recently received an e -mail from a company calling itself Rigger Art. They offered to send me for review a palette they are selling on Amazon. 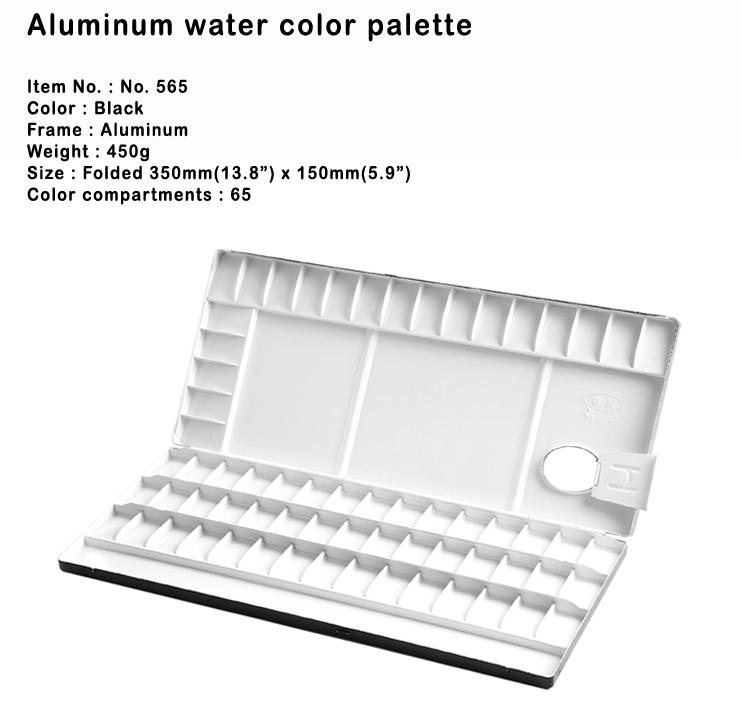 This palette is 'lightweight' yet sturdy plastic with 28 wells and 5 mixing areas. They say it is larger than similar palettes. I declined as I tend to remain completely independent and the palette appears generally similar to some other palettes on the market. I don't use plastic palettes as a rule and couldn't see the point but here is an illustration for those who might be interested. 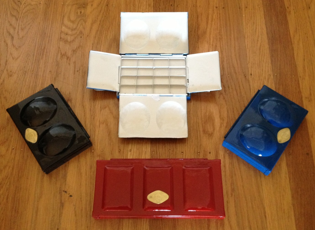 This is a photo of my friend John Softly's palettes. It gives an interesting size comparison. The very bottom is a Craig Young and I think the Spanish palette is at the top. Oh no Peter! 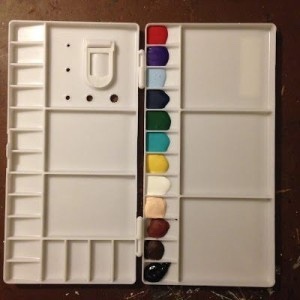 now I've got total palette envy. I love the little palettes that unfold into four wings of workable space, but they are SO expensive. Lovely blog post with so much information, thank you. Welcome Ann and thank you for commenting. Always pleased to have new contributors. I also learned about Classic Paintboxes and it does look interesting, however just as you said, 15 wells may not be enough. No wonder your articles about palettes remain the most read. Good work. Welcome Daniel and thanks for commenting. Palettes certainly cause a great deal of soul searching. Welcome Polly. Glad you found this of interest and there is lots more in the back catalogue. I use a large radial palette(from Ken Bromleys....I rarely mix in the palette so have little use for all the mixing space in a lot of these and like having the large wells where I can actually mix most of the paint to the right consistency unless I need a large wash. As for the issue of having a limited palette, while I use a limited palette for most of my work and do have my favourite colours, part of the fun is using different colours and combinations and I actually have 3 palettes on the go and each has 12 colours!! I just don't use them all at once!! You are a devil Peter, so much information and dreaming to follow. Thank goodness I'm very satisfied with my little CY palette, even used it on a half sheet. Thanks for commenting Judith. With all the luscious colours now available who could resist them? Certainly not me! With all those colours in your three palettes sounds as if we are birds of a feather! Ann! I wondered where you were! Sorry for my misunderstanding. Thanks Ray. Actually I've seen - so have you I imagine - Charles Reid paint a half sheet with the small Sketchers box. I'm an impulse buyer though so can't resist palettes and other art things. Many thanks for the update on the available palettes. 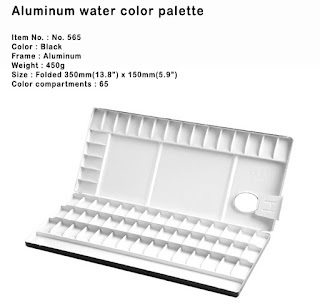 I wish I could afford $100 on that palette, it looks like the thin I'll need for my forthcoming holidays. Hi Rui. Thanks for commenting.I think you might get that `winged' palette for less than $100 if remarks on Wetcanvas are to be believed. Even so it would still be the dearest plastic one ever(?). I ordered a Craig Young palette in November of 2011 and as yet have heard nothing from him. (other than to expect over a year wait) I might try to order a palette from one of the company's that you have listed. Thanks again for all of your research. Hi Delilah. Craig always has a waiting list but I'm surprised you've heard nothing. Why not e-mail him and ask what's going on? If you've been waiting 16 months I would have thought your order was imminent. I've said above that his sales will suffer if these newcomers receive good reviews. A interesting but somewhat confusing review Peter. I was not aware there was so much out there. I must be a bit of a painting freak. 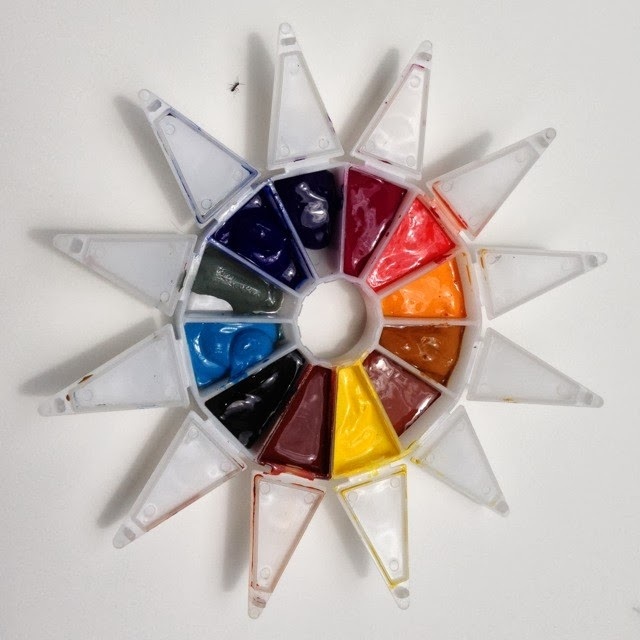 b)for mixing my paints I use really cheap palettes from places like The Range, The Pound Shop and The Works, which come in packs of about 5 various shaped plastic palettes which I abandon as soon as they are slightly stained. And as the shop titles suggest they are usually between £1 and £2 a pack. Would I benefit from paying more? Each to his (or her) own Yvonne. You don't have to spend much money on palettes as some start at 50p. The essentials are paint, paper and brushes but a china plate will do at a pinch and, as you say, there are plenty of cheap alternatives. I believe that it was on wetcanvas that I became aware of your blog and Craig Young's palette. I have email him three more times - asking about sending a deposit and telling him how much I look forward to receiving this palette. I did however note that another poster on wetcanvas had just ordered a palette in the fall of 2012 from Craig Young and was dying to get it and had spoken to him and Craig said that he would try to get it to him by this Christmas. I messaged this poster and he was very kind and said that maybe it was because he frequently called him and the 'squeaky wheel gets the oil'. Sorry to ramble on. I'll stop. On another note. Yvonne doesn't use expensive palettes - well it's working! - Her work is awesome. I've never met Craig, although I've spoken to him many times and exchanged e-mails. He is a very nice man and I'm surprised you've had no response. As you know Yvonne is a brilliant artist and uses cheaper materials other than paints and paper. She uses synthetic brushes, often seconds. Hope you have more luck with Craig. I am Effers from Wet Canvas and the owner of Iba-Co Palettes. I know that there were a few questions about the palettes I posted on the blog, and I wanted to make sure to respond to you and anyone else who might be interested. I was reluctant to respond via Wet Canvas as I know that the moderator is understandably concerned about anyone using the site to promote their business. Anyhow, I just came across your blog and would like to say hello and tell you about Iba-Co Palettes. I started Iba-Co palettes recently after many months and many attempts at crafting my own Roberson palette. I had learned of the Craig Young palette while watching an instructional DVD and was struck by the design. When I discovered the price and lead time, I decided that the best way to get my hands on one was to make it myself. Fast forwarding through many trials and errors, and many, many sheets of brass, I am finally producing palettes that I am proud to label as my own. Iba-Co Palettes is indeed a 'one man show' and all of my palettes are 100% hand crafted out of brass by me. Through the design process, I've created several other palettes which have worked for me while painting indoors and outdoors and I hope will work for others as well. Indeed, the tools that I use allow me to customize the palettes to suit each painter's need. For example, I can create different well types on the Roberson style palette. Someone mentioned in the thread above that there were differences in the wells based on the pictures from several of my palettes. That is correct. I can make oval/rounded wells or a wider well with a flatter bottom (which I prefer) as it makes the wells a bit more versatile given the limited flat areas on the Roberson palette. I truly enjoy making these boxes and would like to keep this rich tradition alive. There are millions of painters out there and Mr. Young needs a bit of help to keep up with demand. I admire Craig Young and aspire to create a palette that aids the artist and gives years of service. Thanks for your interest in Iba-Co Palettes! I'm very pleased to receive the information above from `Effers', the owner of IBA-Co palettes. and I appreciate you taking the trouble to do this. I'm sure you will do very well as the demand for these hand made palettes is obviously there but supply and price have been a limiting factor. Good luck with your endeavours. I'm David Cooper of Classic Paintboxes that you mention in your article. If you view my website again you will find updated info about the new box designs now available: "Artisan" and "Petite". The Artisan is a multi fold box and the Petite is incredibly small yet still a fully functioning box. I would appreciate you updating your info as it is now incomplete and not fully informing. Thanks for information David which I've updated. I'd like to let you know I have two palettes from littlebrassbox and am very happy with both of them. 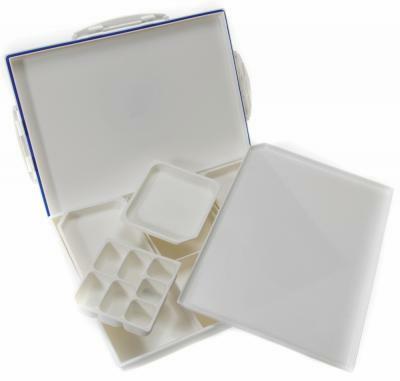 I ordered the Robertson Style box first, as I wanted a compact palette that would not take up too much space on my studio table. I ordered it with 20 colours rather than the classic 16. This meant that I couldn't fit full pans in the paint wells, but that was fine as I didn't want to - I prefer to squeeze the paint directly into the metal wells. I don't fill them, but only partly and at a slant, so there is no contamination from one colour into another and no damage to the brush loading up the colour. 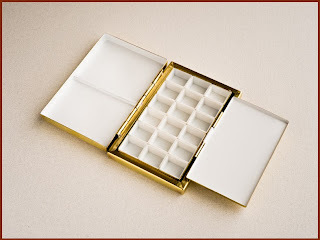 It's a beautifully crafted box and a joy to use. It can be used outdoors but would be heavy to hold for a while so I keep it as my studio palette. I then asked John to make a tiny 16 colour travel palette that I could have with me all the time. He did, in lacquered brass, and it's a little treasure. It lives in my handbag and I use it for all my plein air work. John was a delight to deal with and I would recommend his palettes. 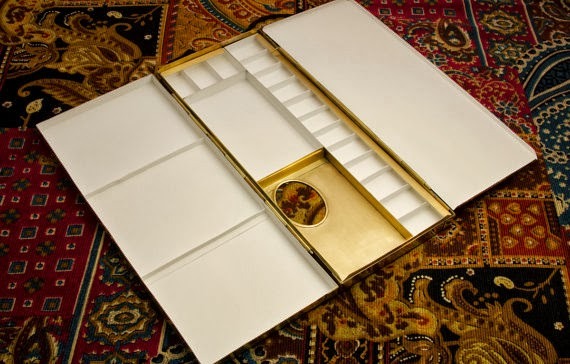 More recently I have also corresponded with David of Classic Paintboxes, and would encourage anyone interested in a brass box to do the same as it seems he can customise his designs to suit so if what you want is not on his website perhps he can make it for you. I did order one from Craig Young many years ago but somehow got dropped from his lists as I never heard from him. 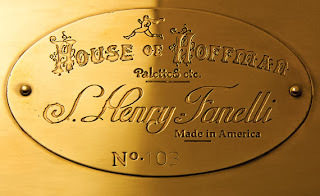 I don't mind - I am very happy with what I have now, but I have been following the brass box palette conversations for a very long time on WC and elsewhere. Keep posting - palettes are such fun! 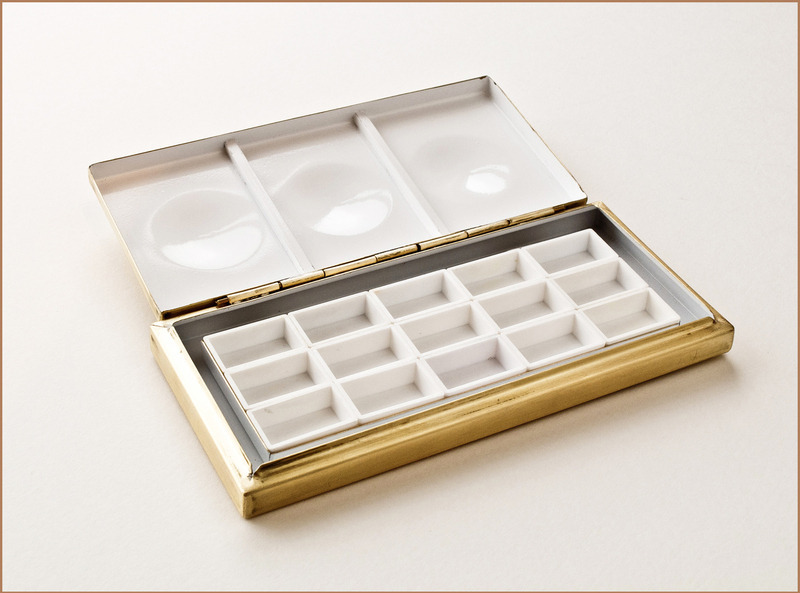 That's most interesting Jane and very useful for those who are interested in buying a hand-made palette. I have three Craig Young palettes but wish that I had 20/24 wells in stead of sixteen. As I don't use large amounts of paints smaller wells would be perfectly viable. Perhaps you could ask Craig to make new inserts for more colours and keep the others for your pans of spare colours? 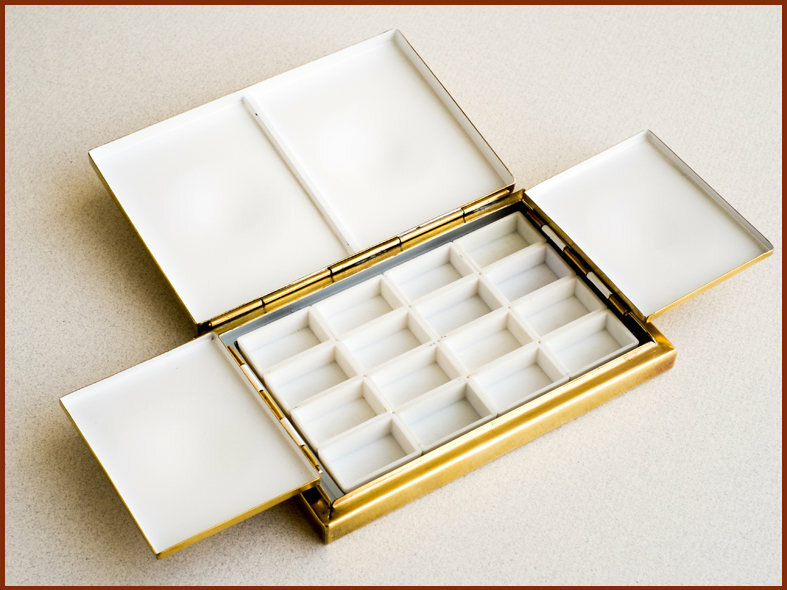 Isn't part of the joy of a hand made box the ability to have it made to your requirements? I've been thinking of doing that Jane. At present I have an ad hoc collection of extra half pans stuck in the box giving me 24 colours in all but it isn't ideal. We seem to be currently traveling along similar topics of interest on Peter’s blog Jane ☺. A couple of years or so ago (well 2 years and 4 months to be exact) I contacted Craig Young to order a 16 well Roberson and one of his Pocket boxes. Craig warned me the waiting list was around a year. After a year or so I emailed him again and didn't hear back. After another six months I followed up and Craig replied saying "contact me again next March, I'll try to fit you in.” I contacted him again and he said “ok, you are on my list.” My boxes arrived a couple of weeks back. In the meantime, John Hurtley had started up his own company and, not being sure that Craig would be able to fulfill my request, I put in an equivalent order with John :) John warned me that I would have to wait around 4 months. Barely two months later he contacted me on a Saturday night, said he was about to start on my palette and confirmed a few details of colour etc. By this time I noticed that he was also offering a travel palette but at that time no water bucket, which was an aspect of Craig’s design that really appealed to me. I asked John about this and he said he hoped to get round to designing one in the very near future. However, this man was helpfulness personified. Over the next ten days he not only produced a Roberson and a travel palette for me, but also proto-typed the bucket and had both ready to send in one go (the actual one I have is the one that you can see on his site). Throughout the process he was proactive and emailed, unrequested, work in progress shots of gleaming brass. Mouthwatering! So, what are the pros and cons of the actual palettes? 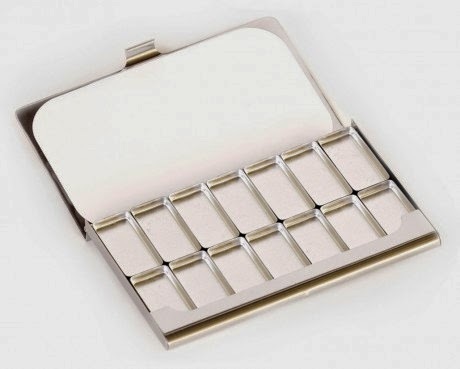 The John Hurtley travel palette is much smaller than Craig Young’s Pocket box … about half the size. It really is tiny. I bought W&N half pans to go in but they were too big when including the little white plastic trays. I levered the paints out (easy) but some were still a bit tight to fit. I shaved off small portions with a craft knife and hey presto. This was not a problem to do and I was operational in about a half hour. As you say Jane this box is an absolute delight. I can even hold the palette, water bucket and a small pad in my left hand at the same time so that I can sketch and paint standing up... at times a useful trick. I am not sure if the pan colours have any effect on weight but this is a pretty dense object when fully loaded despite its small size. The two Robersons do bear direct comparison. Closed, Craig’s is a good quarter of an inch larger top to bottom. 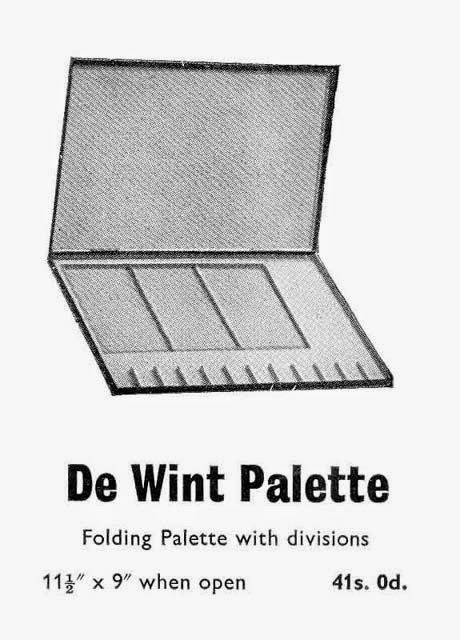 Unfolding increases this so that the effective size of the palette has an extra half inch or so (more really as the two side flaps also get an extra quarter inch). 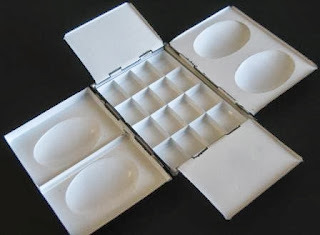 This doesn’t sound like much but given that the egg shaped dishes are of similar size, the extra space provides additional surrounding flat mixing areas. The other main differences concern the inside white enamel. Although John told me that he had discussed aspects of the enameling process with Craig, John’s enamel is very mat whereas Craig’s has a somewhat smoother satin appearance. I have used the John Hurtley palette quite a bit and it cleans up very well so have no reason to think that there will be any problems with this over time. 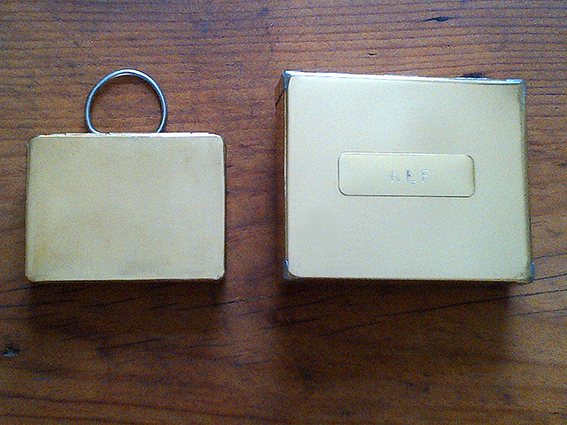 A couple of final pluses on the Little Brass boxes. Firstly choice of outside colour. You can basically choose any colour you like for a small additional fee (Craig offers four or five). Secondly, there are some format options and I chose one with additional circular wells on the side flaps. Thirdly, my boxes arrived complete with delightful custom designed drawstring pouches at no extra cost. They hadn’t even been mentioned, they were just part of the package. All round then, great product and service from a man just coming to the end of his first year in business. Waiting lists are increasing but he is very efficient and organized and you know where you stand. Of course it is one thing to set up and successfully start a business and another altogether to keep it going over time, particularly if demand starts to build to the level that Craig has had to deal with. Prices are a fair bit cheaper than Craig although one thing that stood out for me from the pix that John sent through was the staggering amount of work that goes into producing one of these palettes. Given this and the fact that I assume all of these boxes will outlive me (and I’m only 55 :)) I consider the prices to be good value. So what of the Old Master Craig Young? Well I waited a long time but my persistence paid off and I’m glad it did. When I finally made it to the top of his list Craig was great and very communicative and efficient. The quality of his paint boxes truly matches everything I ever expected or heard they would be. In fact even more so. This quality cannot always be picked up by looking at photos that people post of the boxes on line, where small imperfections are noticeable, but it becomes readily apparent in the actual handling and balance of them. Craig now provides handmade custom pouches for an additional cost, personalised and beautiful in their own right. Craig will always have more than enough orders for his paint boxes for as long as he wishes to continue. And rightly so. 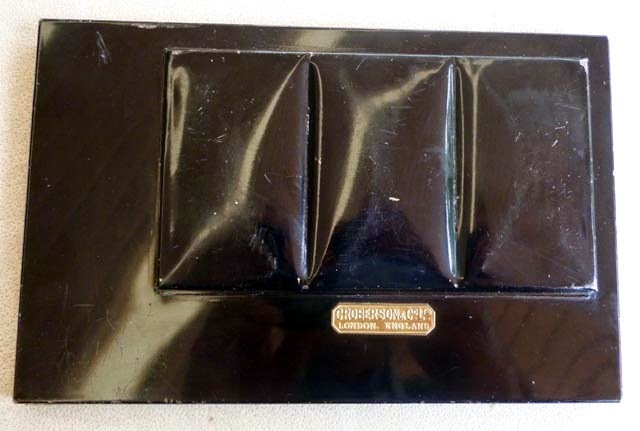 The fact that there are now others in the market offering similar products will presumably have the effect of reducing some of his backlog and therefore waiting times on his remarkable palettes for those of us who still want to get our hands on one of his ‘originals’. 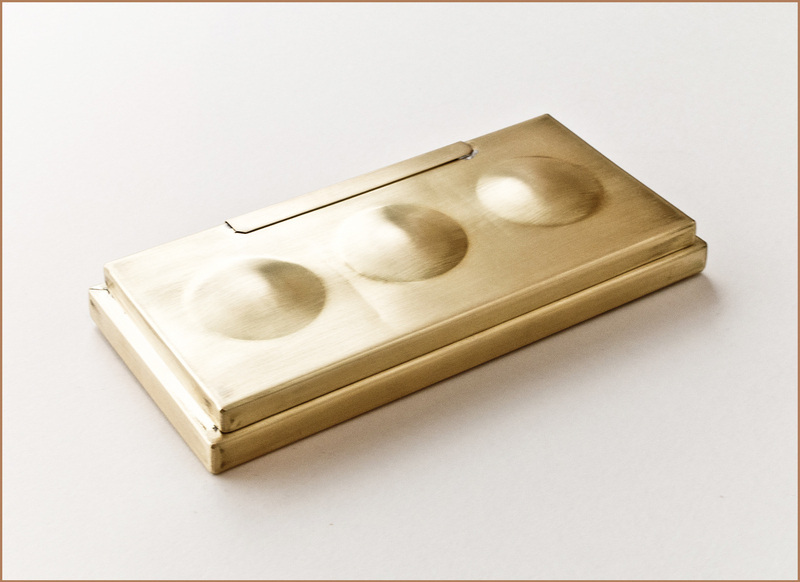 For others who want just want quality, handmade, brass paint boxes along time-honoured designs there are now other options. Sorry I went on so long but I wanted to do justice to both of these men and their palettes. Thanks again Kevin for these comments that will help others, if they are in two minds, who to order from. I'm about to order from Craig a spare tray for my paintbox with 24 wells instead of the standard 16. Way to go Peter! Hope it doesn't take too long - you'll fall in love with it all over again. Post photos? Peter - do you want photos of these palettes to add to your Blog? And finally, Kevin - I also had a wonderful experience dealing with John of Littlebrassbox. What a gentleman he is. I do wish him well. The update photos along with way made the whole process so enjoyable and exciting. Free shipping. Free protector bag. Package arrive beautifully wrapped in brown paper and string weeks earlier than expected - what a joy! Thanks for comments Jane. Regarding photos I restrict palettes on here to those available commercially. Obviously `one-offs' are of interest if the respective makers will produce them to order. I thought this was an excellent suggestion from Jane to request the 24 well insert from Craig. My gut feeling would be that you won't have to wait too long and that this would be something Craig would be able to slot into his schedule. I don't know, but suspect that longer delays are due to endless requests for Robersons (mine was number 1138) and I know Craig likes to vary his workload to avoid boredom. 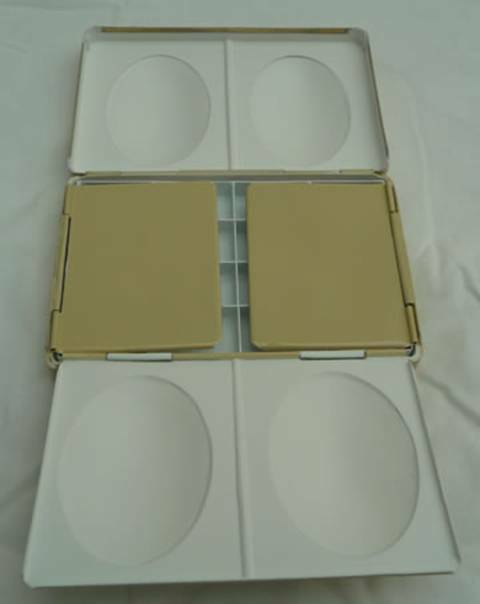 If you are interested to see the comparative sizes for the two pocket boxes I can provide a couple of pix. I'm not sure how I can send them to you though as I only see a 'Leave your comment' box. Let me know if you think this might be useful to people. I have the extra 4 well clip on for my Craig Young Paintbox which slides on to flap - either left or right. Filled with whole pans it was invaluable when I needed extra specific colours for a recent workshop. 24 colours - get 2 clip ons. Overkill perhaps although I think I have seen John Yardley using 2! Hi John. 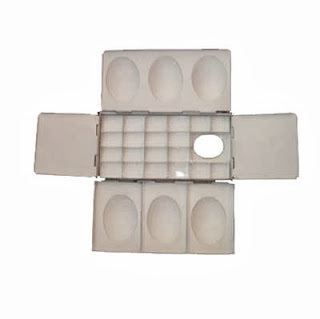 I previously got Craig to make me a four unit clip-on for the small sketchers box but it is not very convenient to transport. I've ordered a 24 well insert for my paintbox so will report on it when received. Thanks for all the research Peter.Very helpful.I suppose it is like a lot of things in that everyone to his or her own.I personally don't like the way the paint beads on plastic but it doesn't bother others.I have a "Spanish" palette from Viera and have been using it now for sometime with absolutely no sign of rust or indeed chipping.So am happy with it. Thanks for comments Larry. If it works for you that's what matters. Paint tends to bead on plastic depending on the type of plastic. Often it's because the film of oil that coats them hasn't been fully removed. 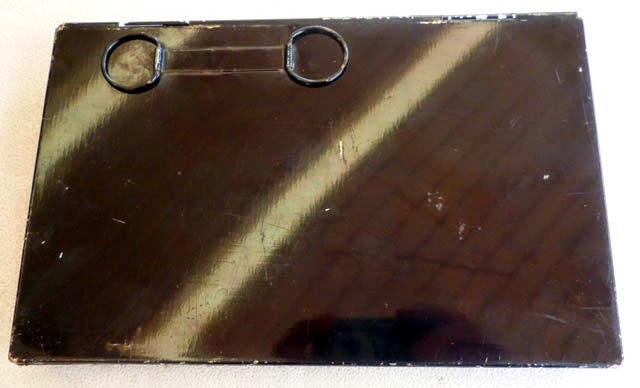 I use metal palettes but many plastic ones can be very serviceable. Thanks for comments Jayelle and welcome. I don't think the Robert Wood palette has ever been available in the UK. I would suggest the John Pike - Jacksons sell both versions, and it has a cover. Great article! If I may, I would like to briefly comment on the SHYsArt palette. I purchased one from Jerry's Artarama (located in the USA) for $58 a month ago (I just noticed that SHY sells it directly for $49.95). I like this palette very much. The wells are quite deep and I can use my 1/2 inch brushes comfortably. I have not used it for plein air yet. But it seems to me that it will excel in this regard; it is quite small and made out of what seems to be high quality plastic. From an aesthetic point of view, I must confess that at first I did not like it that much (it reminds me of the 'to-go' boxes restaurants use in the US). But lately it has grown on me. It is the ultimate industrial version of a Roberson palette. Only time will tell if this palette can withstand the abuse of plein air painting. I will find out soon enough. Meantime, I am patiently awaiting a Binning Monro-style palette from John Hurtley. Life is good indeed. Sergio (writing from Costa Rica). Welcome Sergio and thank you for your comments. Hi Peter. 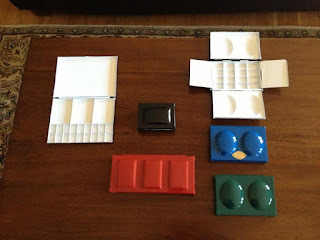 I am glad Maria contacted you to fill the blanks about her lovely pocket palettes. I discovered these some time ago and bought a number from her for my students and other urban sketchers and showed them to Malcolm. I filled some of them with artist quality paints (Da Vinci, Daniel Smith and W&N) in his chosen colours for his students. I use a completely different range of colours in the ones I fill with my recommended colours. 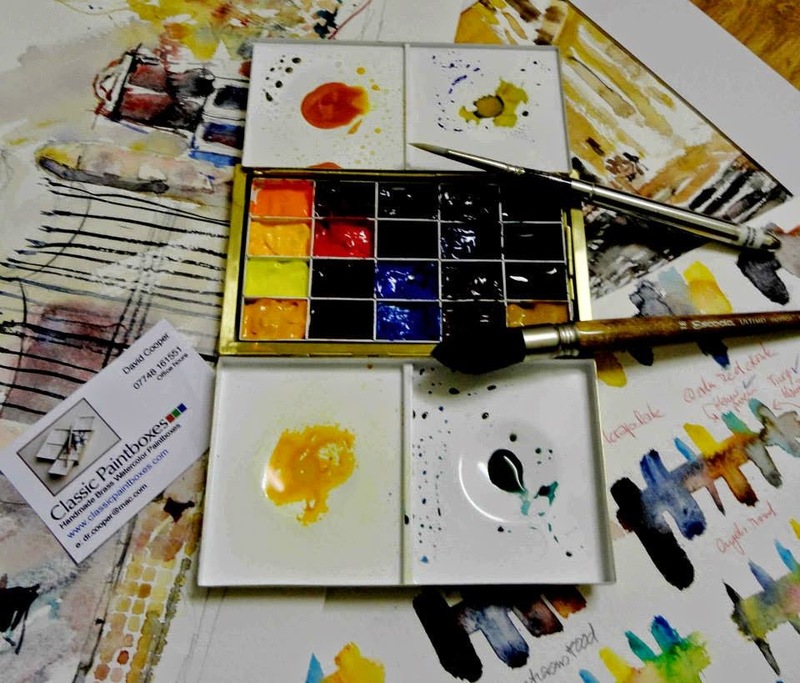 (see here if you are interested http://janeblundellart.blogspot.com.au/2014/02/pocket-palette.html) They are small but those little metal pans hold ¼ of a full pan of paint and allow excellent access with a brush. The square pans hold half a full pan of paint. The limited mixing area works very well with a water brush, which is what Maria designed them for. What they allow is for the sketcher to have up to 14 colours available in their bag or pocket at any time. Not bad for US$30 plus paint! On another matter - it is worth checking out what David of classicpaintboxes has been up to. We have been in contact for quite some time now and I think he is revolutionising brass palettes and is well worth watching! His new website will be up soon if it is not already. 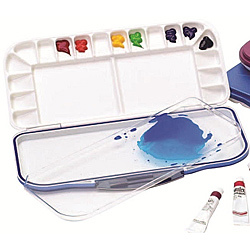 Thanks you Maria for your interesting comments and explanation of this small sketchers palette. I'm not really into sketching much - it just doesn't seem to suit me so I'm not the right person as I find the Craig Young Sketchers box on the small side. I will have a look at your website as I don't have a closed mind though. Hi Jane. I'm always interested in new developments in palettes and add them to this piece rather than keep starting new ones. The information is all in one place. I don't have anything to add really on this new tiny palette to what has already been said. I prefer to paint no smaller than 16" X 12", am happy with my Craig Young boxes, although the Sketchers box is only really used these days for portrait work. If it suits you each to his or her own I say. Best Wishes. 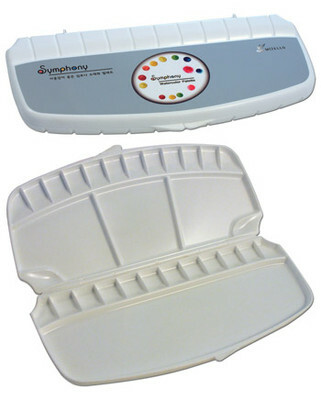 As of now, the Classic Painbox site has been completely revamped and many boxes and options added to the site. Inc. brass pan options for those that have the need. Old visits to the previous hosted site may not redirect, so refresh by only clicking the main search....not the pages listed by google. I'm sorry Crystal I'm afraid I've no information about this palette. I suggest you `google' search and see if anything comes up. I was a Coppersmith on the Railways. 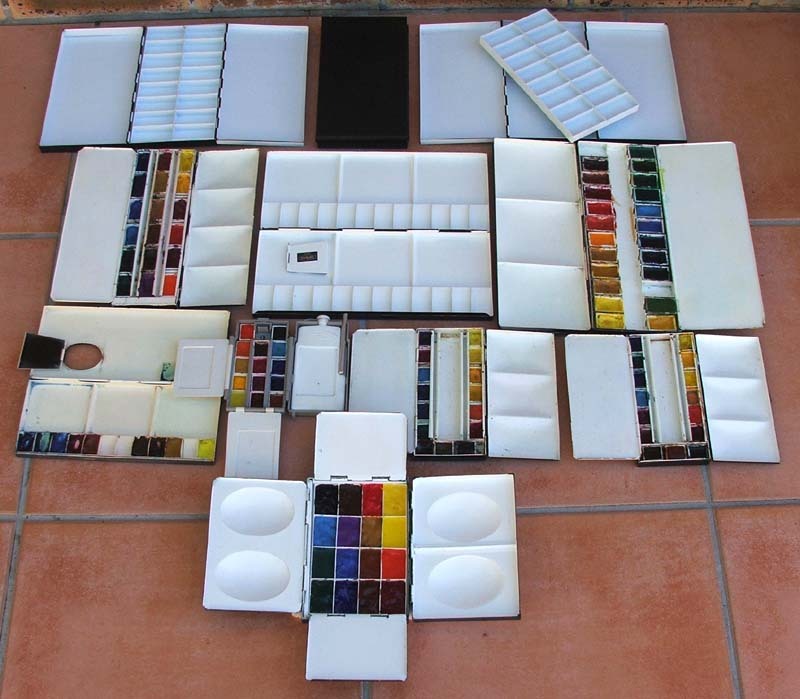 I am considering making Palettes as Its so difficult to get one here in Spain. Not exactly certain Rory but I think it is enamel paint. 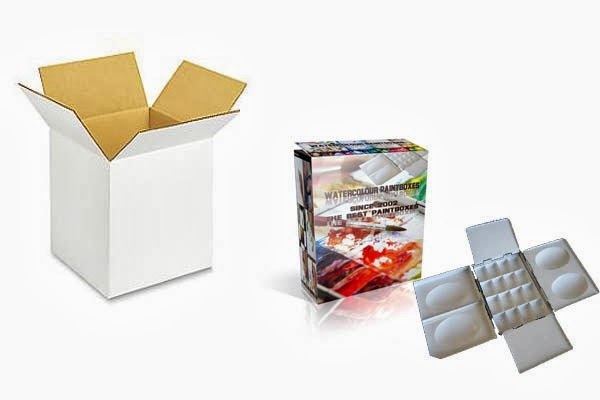 Rory I am sure that if you are serious about making high quality paintboxes you could contact either Craig Young or David or John and ask what they recommend. 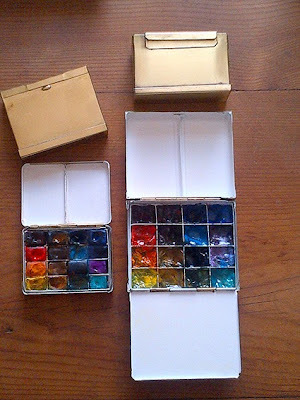 I have two paint boxes manufactured by Craig Young: Large and a Pocket Box, and a Mini Box by David Cooper. I appreciate and enjoy all three, but I must say, the David's paint box is of better quality; a white enamel has been laid perfectly and the brass has been polished more carefully. Fabulous blog, so many temptations! I am wondering if you have had any feedback on the iba-co palettes. 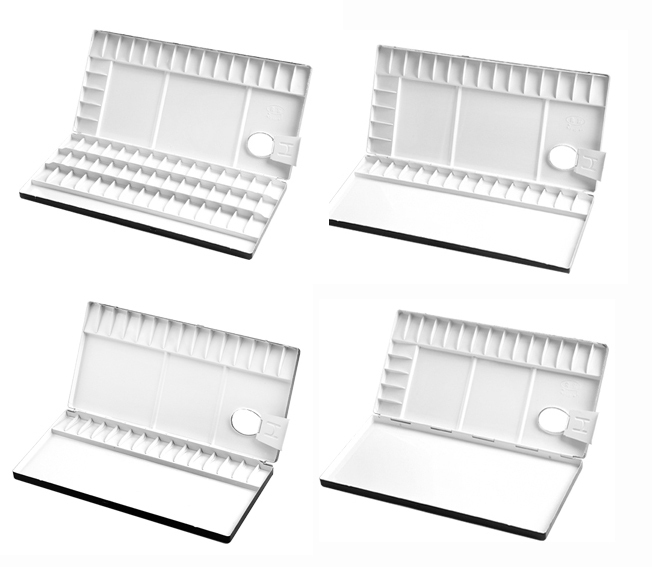 Hi Peter, we are RIGGER ART and we have our folding palette available at Amazon. 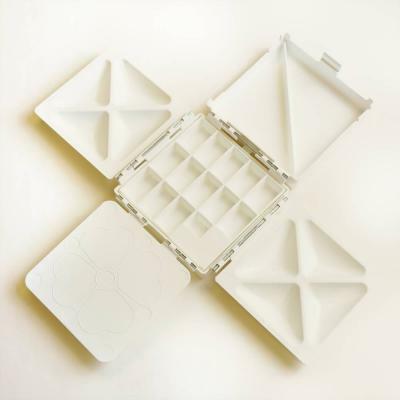 It's larger than similar palettes, with 28 wells and 5 mixing areas. Used for plein air and studio, it is made from light weight yet sturdy plastic. We would be honored to send a palette for your review. On February 10, 2017, I ordered a Travel Palette (w/water bucket) from John Hurtley at The Little Brass Box Company. I received a response only HOURS later directly from John confirming my order. He calculated remaining cost and provided an updated estimated time frame, which was a few weeks earlier than expected. I too was debating which travel palette to get and I feel confident about going with John. The craftsmanship looks fantastic and I know he has repeat customers. Also, I don't want to worry about my order or have to nudge. 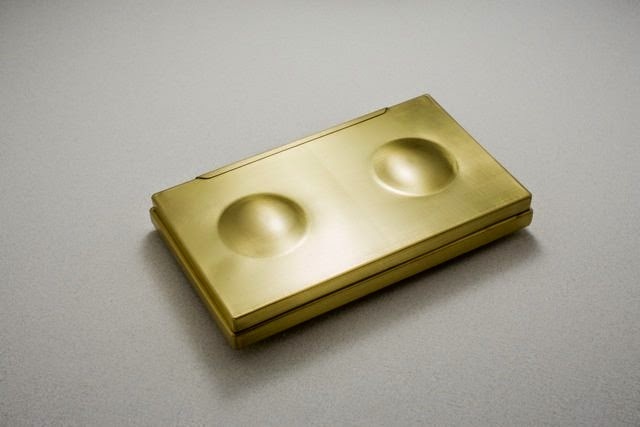 I wanted a brass pocket box that could take standard half-pans and had a water bucket. I emailed John of littlebrassboxes and he said only Craig's travel box could do that, I noticed Craig had a new Bijou Box, which is basically a Roberson cut in two, just w wells. Ordered it - 120% satisfied, the thing is built like a tank, I dropped it and it didn't care, standard kitchen cleaners can be used when it gets stained, and a well can be used as a waterbucket. In the mean time I have acquired a collection of palettes, including an original Roberson, and may order something from John Hurtley eventually, to complete the set, but I have to say that Craig is a gentleman, informative on the phone, and his palette wonderfully made, and built for heavy use. Another palette freak! Just kidding Edmund. Thanks for comments and info. Really wonderful treasure trove of palette information. I've been deliberating on taking the leap to a brass palette and am currently torn between going for a Craig Young or a John Hurtley. For most of my painting I use a Holbein 500 or Holbein 1000 palette, so most likely to go for the nearest equivalent in brass. 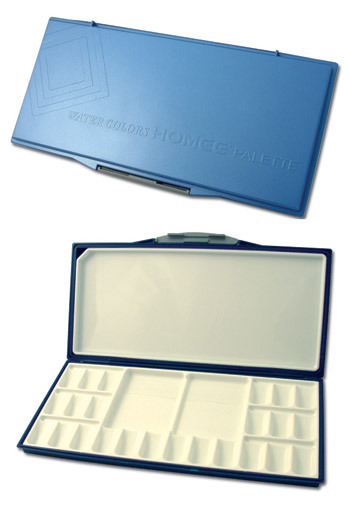 I'd also like to put a shout out for the Frazer Price Palette box that I've become very attached to for sketching! (lots of images etc of this on my website, plus would be happy to send any over to you to add to this astonishing compendium of palettes! Thanks again for compiling this, I'm not at all surprised that it's such a popular page! 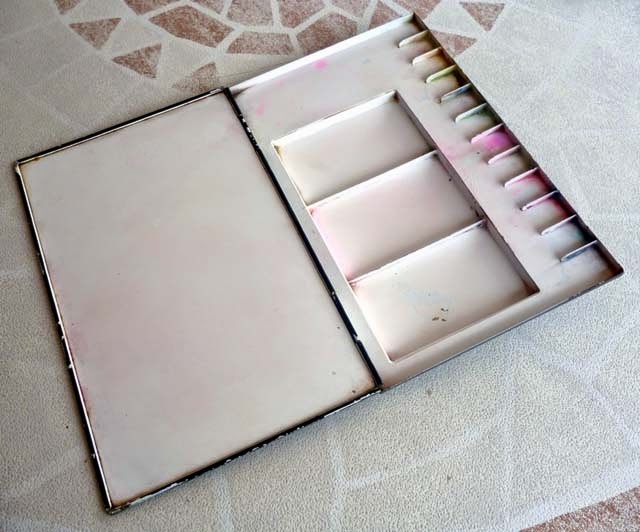 If you'd like to send me some info on this palette plus an image I'll add it to the post. HI Peter, sorry for not replying sooner but I obviously didn't enter my correct details when I last posted but here's a link to where I posted some information on the Frazer Price palette box: https://brusheswithwatercolour.com/2016/10/04/the-frazer-price-palette-box/ - I'd be happy send you some of these images if it would be helpful, just let me know. 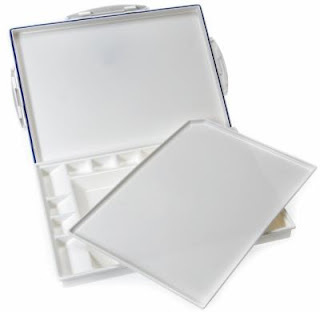 I've also read on another thread recently that Jacksons Art Supplies were considering re-introducing this box. I've been pouring over your blog, and the comments thread again recently as I've just taken the plunge and have ordered a Binning Munro palette from John Hurtley's Little Brass Box Company and am beyond excited! Thanks John. I've looked at the link with interest. However this palette does not seem to be currently available so I think I'll leave it as anyone interested can follow it up from your post. Basically this is about palettes that are currently avalable with odd exceptions . I'm sure you'll love the palette from Little Brass box. Ah, okay thanks Peter, and many thanks for taking the time to visit my brusheswithwatercolour site. Maybe if Jacksons do bring it back it'll have a chance of being featured! Meantime I'll continue to follow with much interest while I await my delivery from the Little Brass Box Company! Thanks for such a brilliantly rich informative blog!